Attend any of these classes or check out a book, movie, or magazine and get a scratch off card–Every One is a Winner!! Also check out these great resources listed below! With Brainfuse, you can access free online homework help with a live tutor who is an expert in the subject, collaborate online, upload you writing and have it critiqued and more. EBSCO provides access to thousands of periodical articles on a wide variety of topics. Many are full text and can be downloaded and saved or printed. 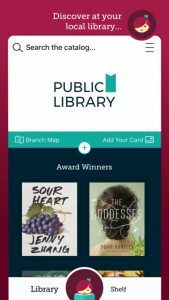 To login to Zinio, you will need to create an account using your library card number, your email address and a password that you choose.